Sabol, Sevastiian-Stepan [Саболь, Севастіян-Степан], b 7 December 1909 in Prešov, Slovakia, d 19 February 2003, Warren, Michigan, USA. Religious figure and writer. In 1924 he joined the Basilian monastic order and studied at the Mukachevo Saint Nicholas's Monastery (Chernecha Hora), the Krekhiv Monastery, the Lavriv Saint Onuphrius's Monastery, and the monastery in Dobromyl. Later he studied theology at the Pontifical Gregorian University (PH D, 1950). After being ordained a Ukrainian Catholic priest in Prešov in 1934 and receiving his licentiate in theology in Rome in 1935, he was prefect for students at the Uzhhorod Theological Seminary and a gymnasium teacher in Uzhhorod. 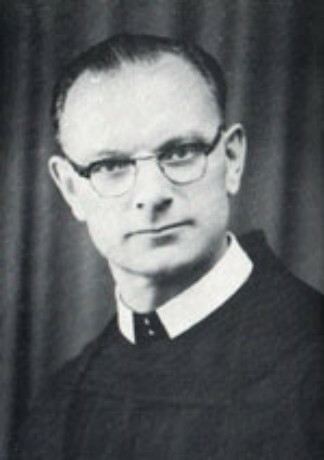 He also edited the eparchial monthlies Misionar (1937–8) and Blahovisnyk (1939). In 1939 he was arrested by the Hungarians in Khust and then deported to the Prešov region. 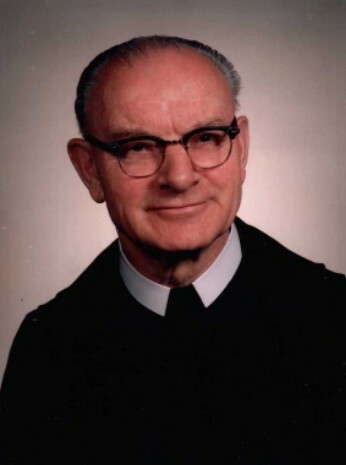 There he founded four new Basilian monasteries and a novitiate, on the basis of which the new Basilian province of Saint Cyril and Saint Methodius was created in 1948. In December 1948 he avoided arrest by the Czechoslovak Communist regime by escaping to Austria. A Prague court sentenced him in absentia to life imprisonment as an ‘American spy, the chief leader of the Ukrainian Insurgent Army, and an enemy of the people.’ After emigrating to the United States in 1951, he served as a missionary in Uniontown, Pennsylvania, and New York and as superior of the Transcarpathian branch of the Basilian monastic order. Sabol began writing lyrical and religious poetry in Ukrainian in 1928 under the pseudonym Zoreslav. In Uzhhorod he published the collections Zi sertsem u rukakh (With My Heart in My Hands, 1933) and Sontse i blakyt’ (The Sun and the Azure [Sky], 1936). As an émigré he published the historical-dogmatic monograph Katolytstvo i Pravoslaviie (Catholicism and Orthodoxy, 1955), the poetry collection Z rannikh vesen (From Early Springtimes, 1963), and the books Vid Uhors'koï Rusy do Karpats'koï Ukraïny (From Hungarian Ruthenia to Carpatho-Ukraine, 1956, under the pseudonym Yurii Borzhava) and Holhota Hreko-katolyts'koï Tserkvy v Chekho-Slovachchyni (Golgotha of the Greek Catholic Church in Czechoslovakia, 1978).